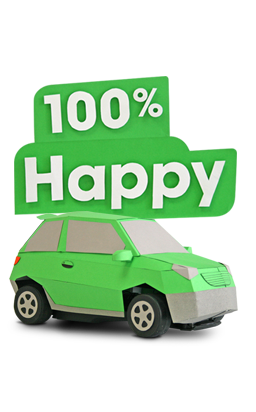 Bingle is a leading Australian car insurer and part of the Suncorp Group. The world is awash with cheap car insurance. And online-only car insurance. And of course, cheap, online-only car insurance. The problem with all of it is knowing who to trust and how to know if a policy is right for you; after-all, you’ve saved no money at all if the policy doesn’t pay out or you can’t call a human in your moment of need. This is where Bingle is different. Sure, Bingle is cheap. And it’s also online. However it is the quality of the Bingle product that sets it apart. A product that is quite literally identical to the very best car insurance products on the Australian market, except for a few, subtle differences. Bingle is after all, a member of the Suncorp Group, one of Australia’s largest insurance groups. Bingle insures safe, every day drivers with every day cars doing everyday things. : no Dukes of Hazard, Knight Riders or Kitts. And no special insurance add-ons such as windscreen cover or a rental car for when your bingled car is in the shop. Otherwise, Bingle uses the same assessors and repairers as the majors. And the same claims policies. And the same call centres. It’s less about being cheap as it is about being smart. 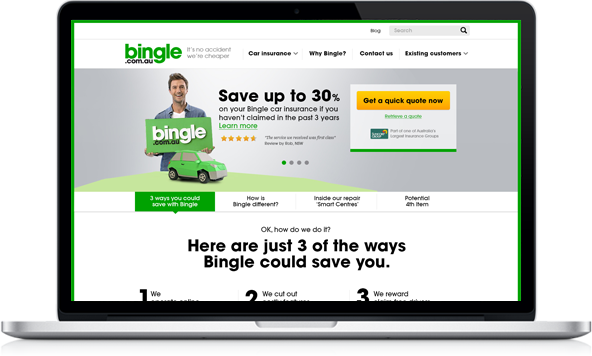 Being predominantly an online brand, the Bingle website is the face of the business and critical to the user experience delivered to new and existing policyholders. In redesigning the website, Wiliam worked closely with Bingle on redefining and articulating the Bingle brand and what it means for customers. This extended to content, imagery and the overall flow of the website. The design is fresh, interactive and responsive. 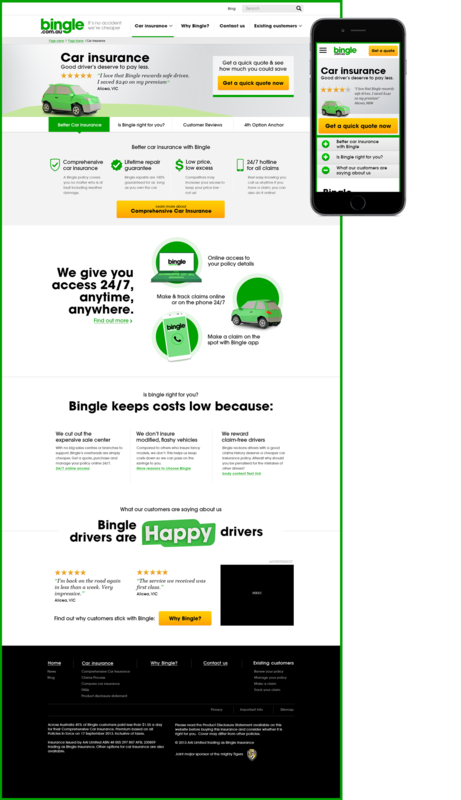 Ultimately, the new Bingle website is just like the product Bingle sells; it works, works well and delivers a great experience, new user or returning.